Meet us in Stuttgart at the 14. 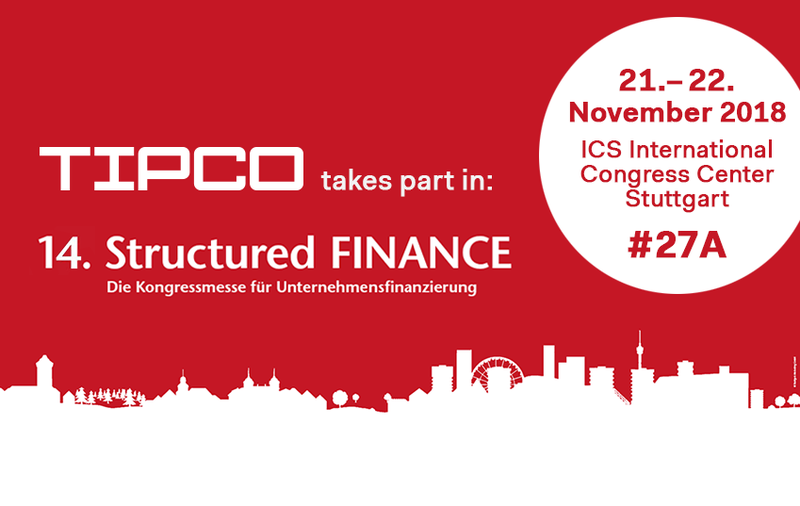 Structured Finance and take your treasury to the next level. The Treasury Information Platform TIP offers you amazingly flexible and smart treasury and reporting solutions. 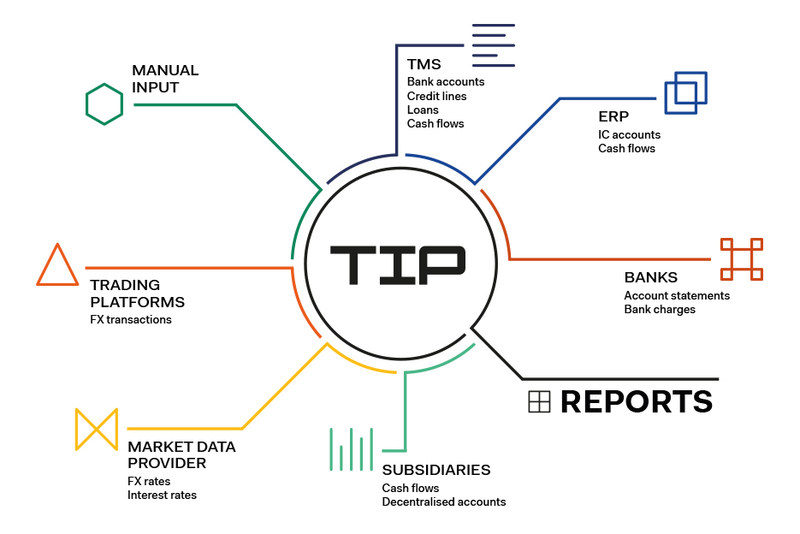 Regardless of whether you have already deployed a treasury management system or still prepare reports manually with Excel – TIP is the key to saving you valuable time and increasing the quality of your data. Our solutions for cash flow forecasting, automatic bank fee monitoring, risk management, guarantees and derivatives work on the basis of smart workflows. This helps you to respect your compliance requirements, investigate the reasons for deviations with your subsidiaries and work more efficiently and time saving. Furthermore, our clients appreciate TIP for the easy handling and how this motivates subsidiaries to use it regularly. You want to learn more about our ideas on digital treasury? Meet us at booth A27 – we look forward to your visit. How to prepare ad-hoc analyses with your latest corporate data accessible in Excel. Designing flexible, tailor-made reports in just a few minutes without having to manually prepare data is a dream of many treasurers. STIHL found its solution using the TIP Cube from TIPCO and defined new benchmarks in treasury reporting in the process. 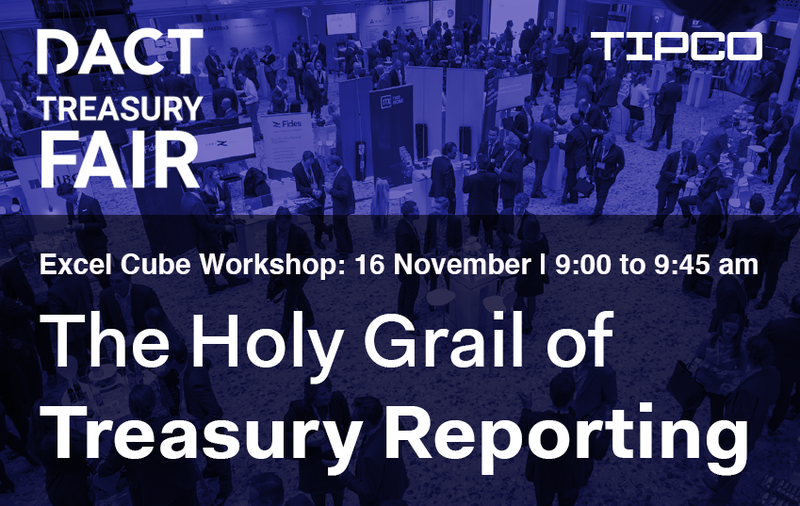 The age-old problem with treasury reporting is that setting up reports takes time and money. Large Excel files with flexible data capturing features need to be prepared and sent to subsidiaries in order for these to enter the necessary data. The next challenge is to collect the data, identify and correct any formatting and data capture errors and to compile the data. It is often necessary to add additional data from various source systems to the information provided by the subsidiaries. No end of time passes before you have finally gathered all the data for the analysis in question, time which should have been invested in the analysis rather than data preparation. There is also the issue of costs: Even if reports have been cost-intensively programmed for specific purposes, requirements tend to change over time, making it necessary to again appoint an external consultant. And the dream of being able to respond rapidly to ad-hoc requests remains exactly that, a dream. These shortcomings bothered us for many years. That’s why we set up a basis for centralised data management in the STIHL treasury department several years ago. Based on the existing TMS (Reval), TIP was launched as an on-top solution. Since then, we have been automatically gathering the data of all group subsidiaries at head office and preparing pre-defined forecast and status reports at the press of a button. The new opportunities offered by digitalisation allow us to continue increasing the already high level of automation. 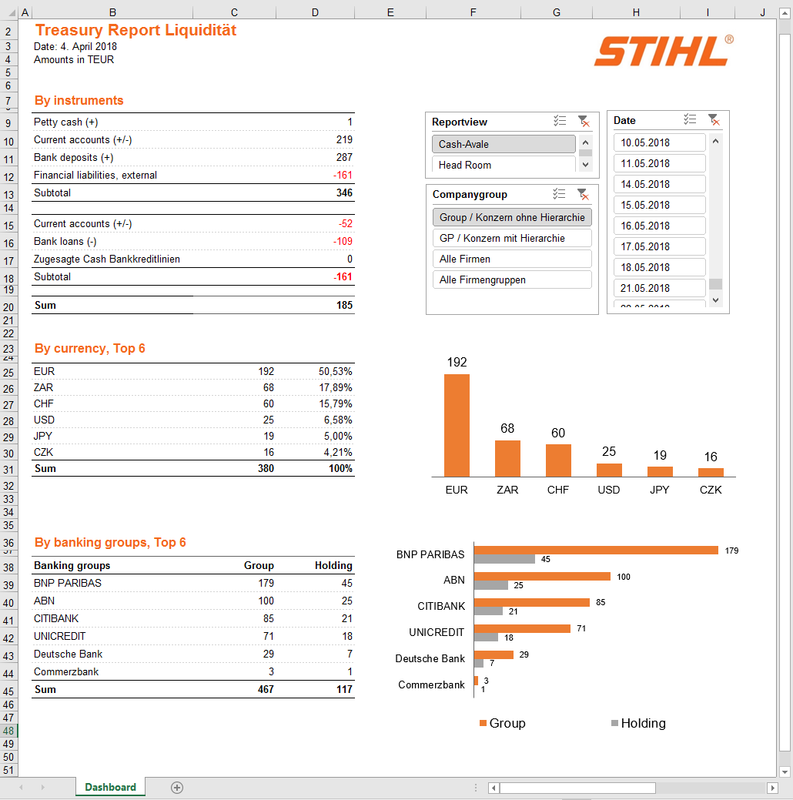 Every Monday, STIHL Treasury provides Management with a dashboard report which highlights the current level of liquidity within the group from various perspectives. In the past, we had to manually copy and paste all of the data from other existing reports into a separate spreadsheet with numerous pre-defined formulae, a task which took half a day. Our long-standing system partner TIPCO came up with a solution to this challenge. TIPCO developed just the right tool, the TIP Cube, which allows us to design and automate ‘self-determined’ reports which flexibly reflect our requirements and which, most importantly, are based on Excel. We gave the green light in early 2018 and in under five weeks we had exactly what we needed. Our Monday Morning Report, designed in-house, is now updated at the press of a button and can be modified without external support. 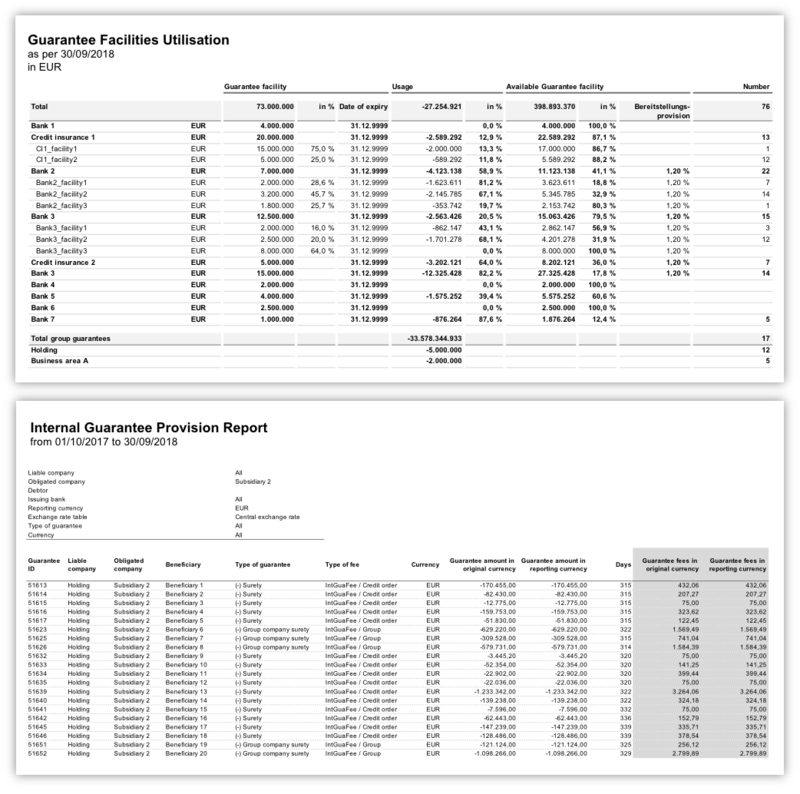 The biggest advantage of the TIP Cube makes this possible: It provides access to all of the group’s data in Excel so that we can build our reports directly in a system we are all familiar with. 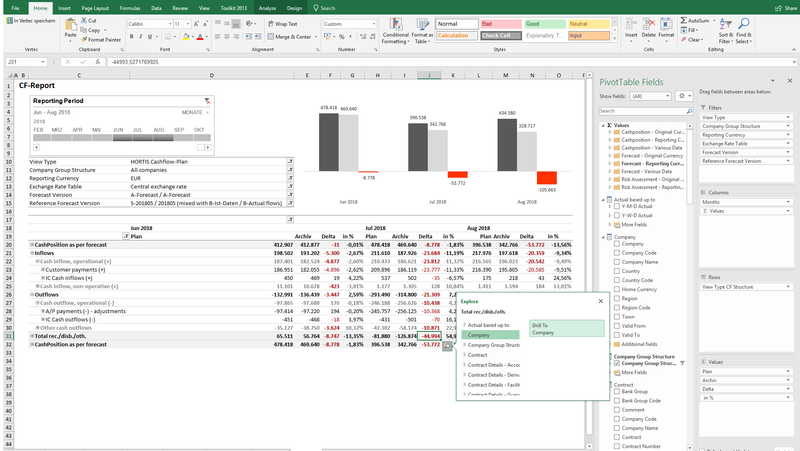 Based on the current data, completely flexibly and with the formulae, diagrams and other functions we know inside out that Excel provides. Data in Excel = reports in Excel The TIP Cube allows you to use the Excel pivot function to access your current group-wide data and to base detailed analyses on these. The drill-down function allows you to access even the lowest data level. It is no overstatement to claim that reporting is now really fun. We filter the financial status to reflect our needs, by subsidiary, counterparty or currency. We can define which effective date we want to see data for, but can also work with ‘dynamic intervals’, meaning that the report includes the previous working day, month or quarter. A key reason why we opted for the TIP Cube was the current status of the data. The Cube provides us with the current data at the defined intervals (e.g. hourly), just the way these are managed in TIP. Every time we access the data, the dashboards show us the latest group-level information without us having to make any manual entries. All your data at a single glance The TIP Cube displays your current data* in TIP, and therefore keeps the dashboard report up-to-date without having to manually process data. And if we want to do an ad-hoc analysis of how the various positions are made up, we simply drill down in the report. The drill-down function allows us to access even the lowest data level and to compare the relevant positions here. Thanks to the Cube, we now have the time we need to do the in-depth analyses which are the key to real value added. STIHL is an international chainsaw manufacturer and the world’s most widely sold chainsaw brand. In 2016, the STIHL group generated revenues of 3.46 billion euros and employed a workforce of nearly 15,000 located worldwide. This family-owned company boasts an equity ratio of over 70 percent and is therefore able to finance all of its investments by tapping its own capital resources. Manage your guarantees as digitally and easily as it gets. Locally apply for and centrally check, amend, approve and monitor your guarantees at any time. Our guarantee management webinar will highlight how you can manage your guarantees largely automatically and, above all, electronically. This process starts with applications from your subsidiaries and extends to include communication with your banks, the issuing of documents and the analysis of the guarantee lines available. “Three hundred and seventy-five thousand and thirty-three Swiss francs”. If you are involved in guarantee management, you’ll know that it is often still necessary to write guarantee volumes in words. Besides this, treasurers also spend lots of time dealing with complex requests, ticking numerous boxes correctly and accurately transferring addresses. The margin of error is zero. Guarantee management is a specialist area where details really matter, and where a well-trained eye, top levels of concentration and lots of hard work are preconditions. At corporate groups, this often involves many subsidiaries and therefore numerous players and parties. When a subsidiary needs a guarantee, it often takes several days and no-end of coordination until the bank guarantee is finally available. During these tedious coordination processes, it is often necessary for a colleague to pick up the phone after the fifth email and personally ask about the guarantee – but that doesn’t make things any more efficient. Double data entries are not rare, cost everyone involved lots of time and increase the error rate. And, if high volumes require several approval steps, then compliance checks and even more patience are necessary. Imagine you could do away with this paper chase and digitalise your guarantee management as far as possible. Starting with the request for a guarantee, on to the approvals process and distribution, all the way to issuing the associated documents. 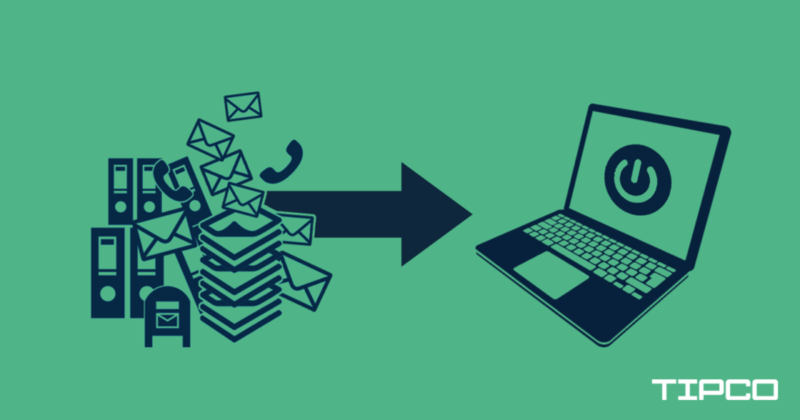 Paper-based applications which are circulated within the group and later forwarded to the bank by fax, email or post, would then be a thing of the past. That is all possible with a digitalised process and tailor-made workflow management: Reduce your processing times, forget tedious typing work and have more time for performing analyses. The following case study highlights what this could look like in practice. When a subsidiary needs a guarantee, it simply enters the request via a standardised form directly in TIP. 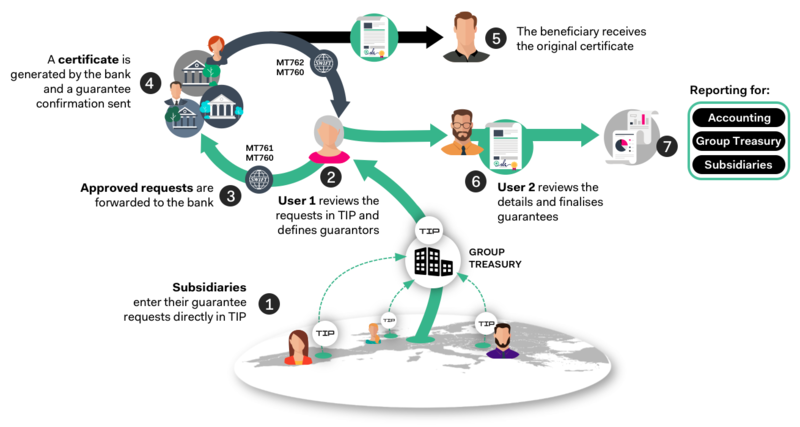 Group Treasury is automatically informed about the guarantee request via the workflow module and then decides in the next step whether this should be processed. If the request is granted, the competent treasurer can directly select in TIP the relevant bank or credit insurer which should issue the guarantee. Depending on the agreed guarantee limit, Group Treasury then also adjusts the ideal utilisation level and manages the allocation of business among the group’s banks. Form for subsidiaries to locally request a guarantee: Straightforward field names and mandatory fields ensure from the first working step on that all necessary information is provided. Every bank issues its own forms, each of which needs to be processed separately. Given that the information required for a guarantee request hardly varies from bank to bank, this complexity is not really necessary. For this reason, we have developed a standardised form which is already pre-filled with your master data in TIP, meaning that you only need to add the details of the relevant guarantee. And what’s even more practical: Printing, signing and scanning the documentation is not necessary with this process due to the fact that you sign the request digitally and can send it directly from TIP to the bank via email at the click of a button. An overview of the process: From the local generation of subsidiaries’ requests to analysis options, TIP allows you to manage and track the entire process. And the future looks even rosier: It will soon be possible to generate bank guarantees in MT798 formats directly in TIP which the system forwards to the bank via SWIFT FileAct. The electronic bank confirmations are subsequently imported into the system and compared with the guarantee request for security purposes. If everything is OK, the process can be closed with just a few clicks. Group-level guarantees can also be requested and even issued in TIP. Once the purpose of the guarantee has been clarified and the group-internal guarantor defined, the only thing missing is the certificate. In order to also handle this digitally, the guarantee text is dynamically generated based on the previously captured guarantee details. This automation saves everyone involved time and clarification steps. It will only take Group Treasury a few clicks instead of numerous manual steps to issue the guarantees. Thanks to the workflow and the standardised forms with an in-built commenting feature, the number of queries in the entire request process has been significantly reduced. Manual reprocessing is not necessary. Once a guarantee has been issued, the next step is to deal with the associated fees and charges. This involves breaking guarantee-related charges down into different classes so that these can be calculated and allocated in TIP. Issuing and amendment charges as well as minimum commissions can be clearly differentiated between. External charge classes can be used to check that the charges billed by banks and credit insurers are correct. Due to the internal charge classes, Group Treasury can also see at a glance which amounts needed to be passed on to the relevant subsidiaries. This is made possible by clearly structured reports which can be generated in a few seconds at the press of a button. This will save your accounts department a considerable amount of work related to booking guarantees and setting up accruals, and allow the treasury department to analyse the utilisation of guarantee lines directly in TIP. 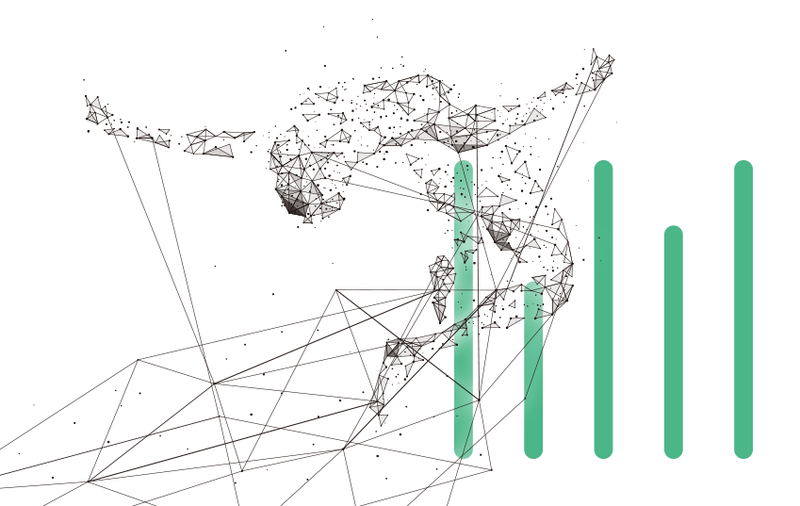 Reports on guarantee charges and line utilisation: The biggest advantage of digitalisation becomes obvious at the end of the process – The availability of the complete data means that all relevant information and calculations can be accessed directly in TIP. Independence from specific individuals and policy compliance are often the key arguments in favour of considering a new system solution for guarantee management. Approval levels and deputisation rules need to be clearly defined and also complied with. In addition, Group Treasury also needs accurate and full process documentation in order to ensure that an end-to-end audit trail exists. Every guarantee request in the workflow module passes through various statuses, each associated with specific tasks. Besides this, those involved can also add comments to requests at every stage of the workflow. As a result, the question of “Who did what when?” can be easily answered at any time and it is obvious where a request currently is in the process and which tasks need to be completed by whom. 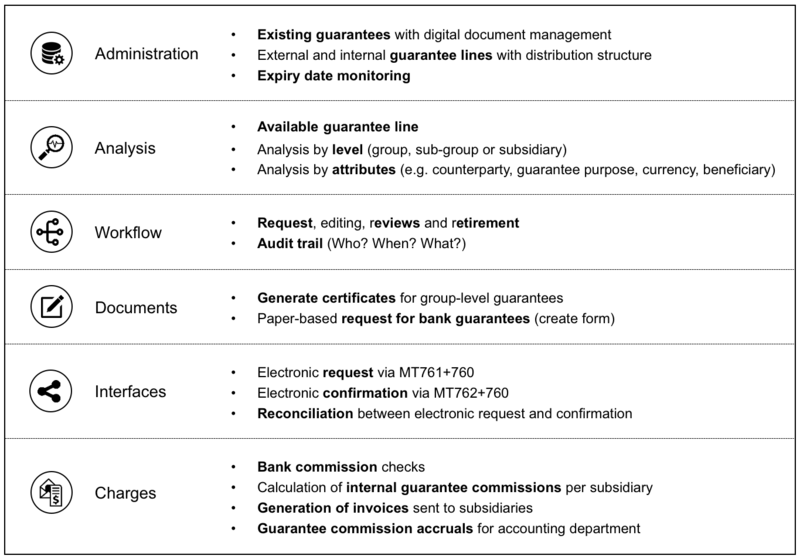 Audit trail and to-do list in the workflow module: Does a guarantee request still need to be approved or has the request already been sent to the bank for the certificate to be issued? These questions can be easily answered with the aid of the workflow module and therefore accelerate the smooth process. There is more to the buzzword Digital Office than you might think. In order to really do away with paper-based documents, you also need digitalised document management. That is why the treasurers can store all of the documentation relating to the underlying transaction and the copies of guarantee certificates directly linked to the data record and speedily access these again. Less work and more compliance – digital guarantee management works (nearly) at the touch of a button. Naturally, you still need the expertise of an experienced treasurer, but the tedious coordination/clarification work and the manual processing of numerous forms and certificates are a thing of the past – with TIP. Create a group-wide database for comfort letters and bank guarantees with completely digitalised document storage which makes it possible to generate reports which offer many advantages, not only for Group Treasury but also for your accounting department. Do away with endless paperwork and manage your guarantees as digitally and easily as it gets. This webinar will highlight how you can manage your guarantees largely automatically and, above all, electronically. REGISTER now. Our FREE YOUR DATA treasury webinars continue from October to December. 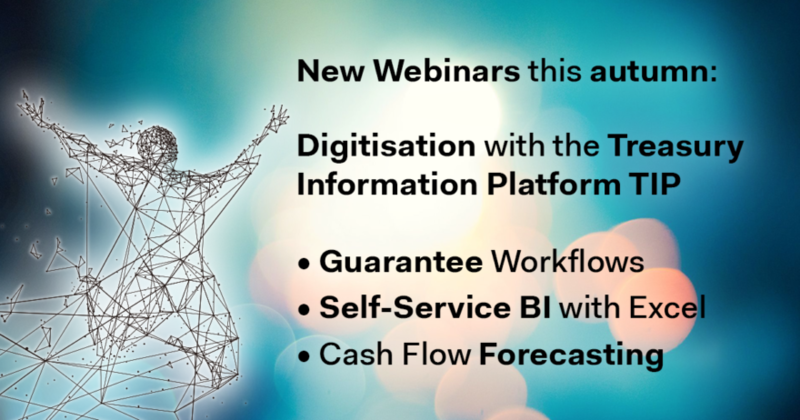 Three short webinars provide you an insight into various treasury application areas and show you how you can benefit from digitisation. Invest 30 minutes and discover how smart solutions can not only save you time but also considerably improve the quality of your outputs. Do away with endless paperwork and manage your guarantees as digitally and easily as it gets. Locally apply for and centrally check, amend, approve and monitor your guarantees at any time. This webinar will highlight how you can manage your guarantees largely automatically and, above all, electronically. This process starts with applications from your subsidiaries and extends to include communication with your banks, the issuing of documents and the analysis of the guarantee lines available. Prepare ad-hoc analyses with your latest corporate data accessible in Excel. This webinar will highlight how you can access your financial data directly in Excel. Account data, guarantees, derivatives and even your cash flow forecasting data are available by means of drag & drop for ad-hoc analyses. Filter by reporting currency, time periods and hierarchies, and speedily prepare the report you need spontaneously for your management team. All you need is an understanding of Excel tables to be able to use the Excel Cube. Grasp the opportunity and discuss your needs with us. Yes, I would like to receive the newsletter, thus be regularly informed about events, case studies and information about new developments. I agree that TIPCO Treasury & Technology GmbH may store my personal data and herewith declare my agreement with the privacy guidelines.